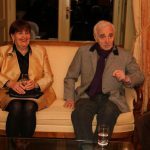 On Monday, 25 November 2013, Ambassador and Maestro Charles AZNAVOUR personally awarded The Charles Aznavour Prize for Outstanding Achievements in Fostering Europe-Armenian Friendship to Baroness Caroline COX. 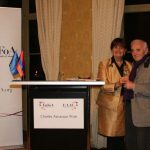 The prize was created by the Brussels-based NGO European Friends of Armenia (www.EuFoA.org) and the Europe-Armenia Advisory Council (EAAC, www.EAAC.EuFoA.org). 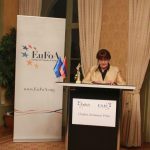 The EAAC chose Baroness Caroline Cox as the first recipient of the prize during its General Assembly in Yerevan on 16 February 2013. 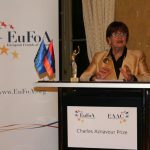 With this, it rewards the Baroness’ lifetime merits in supporting Europe-Armenian relations. 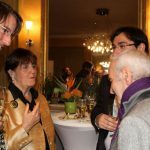 The widely recognised merits of the Baroness reach beyond political party lines and put a strong accent on human rights. 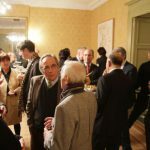 EAAC Members Ambassador Hans-Jochen SCHMIDT and MP René ROUQUET as well as members of Geneva’s international institutions and the Armenian Diaspora attended the ceremony in the Club Suisse de la Presse in Geneva. 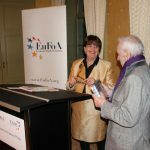 For EuFoA Secretary General Dr Michael KAMBECK, this was his last public appearance in this function before handing over the NGO’s leadership to Eduardo LORENZO OCHOA and Hovhannes GRIGORYAN. 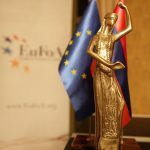 The Prize, which is remunerated with 5000 Euros, seeks to raise awareness of Armenia in Europe, to encourage and inspire other initiatives towards building bridges between Europe and Armenia, to honour achievements in developing Europe-Armenian relations, and to demonstrate the importance of good relations between Armenia and Europe. 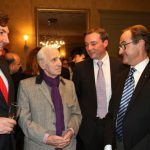 “I never take the floor for whatever speech, because I cannot do it, not in French, not in Armenian, not in English. 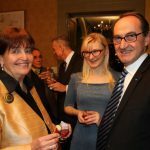 I am here today simply because I already find this NGO wonderful for us Armenians. Because even though I am French with Armenian roots, when I go there, to Armenia, I become Armenian again. When people ask me if I feel more Armenian than French, I answer that I am a milk coffee. There is no way to separate the milk from the coffee! 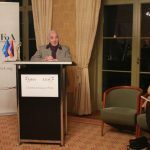 “I want to say with all my heart a very big thank you to European Friends of Armenia! 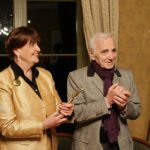 It is a double honour and double joy to be the first to receive this award, and from such an internationally known, loved and admired Maestro. 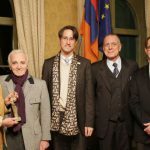 I want to say thank you for an award which is given by the people [the Armenian people] for whom I have unbounded love and respect beyond words. 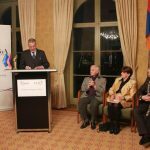 “Today is also for me personally a very important day, because it’s my last public appearance as Secretary General of European Friends of Armenia. 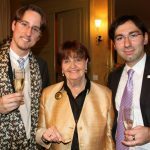 I will hand over at the end of the year to my colleagues Eduardo and Hovhannes, before moving to my family in Germany next year. 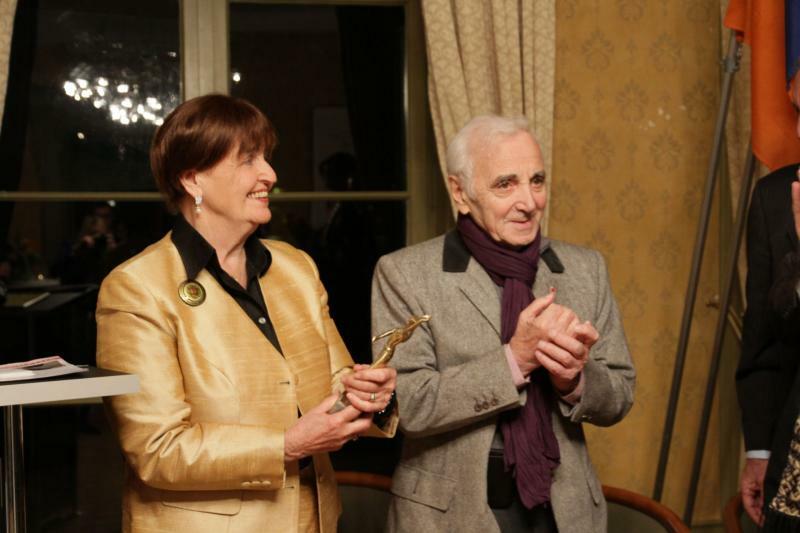 “You Baroness Cox, symbolise outstanding courage to help people in need and sustainable aid projects. 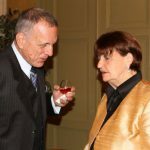 With great interest, as Ambassador of Germany to Armenia, I followed your electoral observer mission, dedicated to the promotion of the civil society and particularly laying an emphasis on the development of the freedom of assembly. 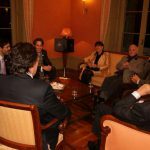 For more information about the Prize and the full press information kit, please click here.